It might be expensive, but in terms of both performance and perhaps even enjoyment, the Oral-B Genius 9000 takes some beating! 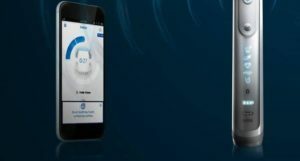 As far as Oral-B is concerned, the future of electric toothbrush technology lies in connectivity. And for that matter, gadgetry in general. Which it has to be said isn’t something that has so far hit home with the masses in general. Which is why the launch of the Oral-B Genius 9000 drew cheers and jeers in equal measures. Especially given the original price point. The thing is though, once you’ve spent some time with an absolute top-of-the-range toothbrush like this, it’s hard to go back to anything less. Even if you aren’t usually into high tech gadgets, the way the Oral-B Genius 9000 brings out the best of its technology is seriously impressive. 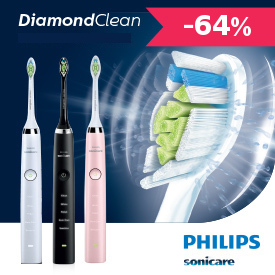 On the surface, you can’t help but wonder if it’s worth spending this kind of money on a toothbrush when there are so many good options to choose from. 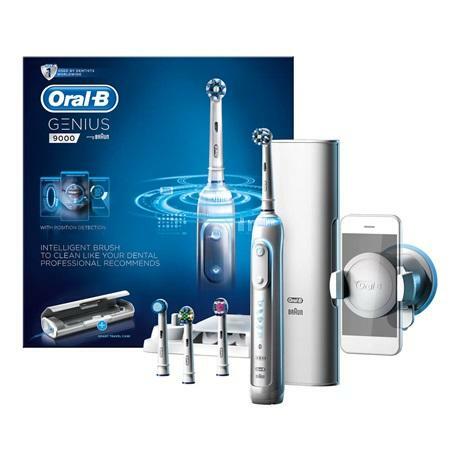 When it comes to the Oral-B Genius 9000, the answer is yes – it is! The toothbrush itself is gorgeous to look at, with a predominantly white colour scheme and plenty of lights to brighten things up. Well, brighten things up and indicate things like Bluetooth connectivity, battery life, brushing mode and whether you are applying too much pressure. It feels great to hold, with a secure great courtesy of the rubber textures to the back and just about the perfect weight. The kit comes complete with a travel case, which if anything is even more attractive than the brush itself. The case also serves as a charger for the brush, which features an additional USB socket for powering your mobile device. A very nice touch that works a treat, given the nature of the Oral-B Genius 9000. In terms of battery life, you’re typically looking at somewhere in the region of 30 brushes of 120 seconds each, before it runs out of juice. Which is impressive to say the least, as is the relatively short charging time. 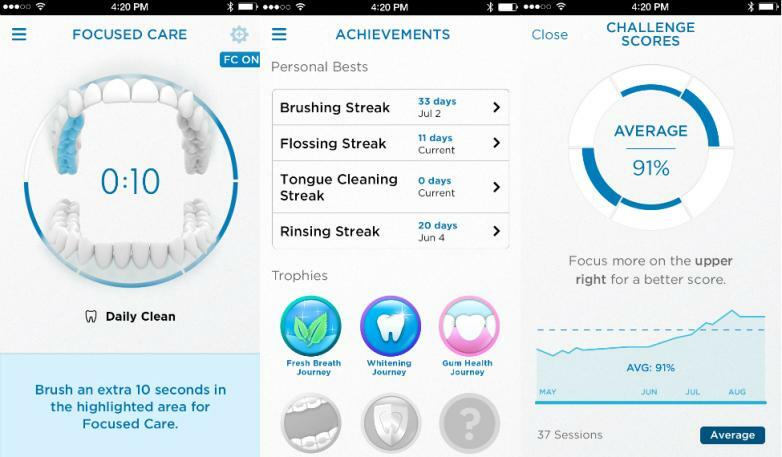 Everything the Oral-B Genius 9000 does, it does spectacularly well. Each of the cleaning modes is noticeably different from every other, while the pressure sensor and built in timer make it almost impossible to go wrong. What’s more, the intensive Pro-Clean mode delivers the closest clean to a professional polish you are ever likely to experience at home. To be honest though, it’s the Bluetooth connectivity that represents the star of the show with the Oral-B Genius 9000. The brush has been designed to work in conjunction with a specially designed app for iOS and Android devices, which is packed to bursting point with new and exclusive features to enhance the brushing experience. It times each brushing to encourage you to brush for the recommended 120 seconds twice daily, it reminds you to use mouthwash, to clean your tongue and to floss. 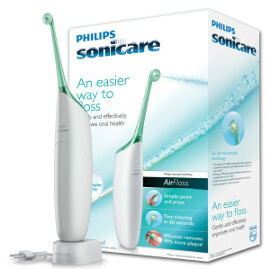 It also keeps a continuous log of your brushing habits, along with if and when you have applied too much pressure or failed to get the job done properly. Should this be the case, a modestly-stern reminder will be issued that you need to step things up! The Position Detection mode is also a guaranteed favourite, which believe it or not uses a front-facing camera to ensure that each of the six zones within your mouth is given appropriate and equal attention. The idea being that you get to watch animated graphics on your mobile device as you brush, to give you an idea of what you are doing right and where things could stand to be improved. Trophies and achievements are handed out to encourage good habits, though admittedly this is the kind of novelty that probably wears off after a while. Nevertheless, it’s all about getting you into positive habits – an area in which the Oral-B Genius 9000 excels. Expensive as it may be, the Oral-B Genius 9000 ships with a full set of four brush heads and is therefore perfect for sharing between multiple users. It’s also been designed to be compatible with as many different specialist needs as possible, making it great for sharing. Which in turn makes it all the more affordable on a per person basis. We can’t necessarily confirm or refute claims that the Whitening head and mode make any real difference in terms of whiteness – you’d need extensive lab tests to produce the required evidence! Six different cleaning modes, making it suitable for just about every user and every special need. In conjunction with multiple brush heads, one Oral-B Genius 9000 can be used by any number of people to maximise value for money. The Oral-B Genius 9000 sports a pressure sensor which is not only impossible to miss, but the unit also records overly aggressive brushing as you go. Speaking of which, Bluetooth connectivity and a specially designed mobile app are definitely the stars of the show. While there are electric toothbrushes on the market with better battery life, the Oral-B Genius 9000 lasts more than long enough for most purposes. 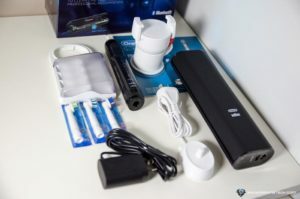 The travel case included with the Oral-B Genius 9000 is by far and wide one of the most impressive currently on the market. Take your oral hygiene report with you to your next dental check-up and discuss the results with your dentist. 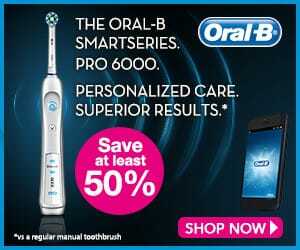 Whichever way you look at it, the Oral-B Genius 9000 is a very expensive toothbrush. Bluetooth connectivity may not appeal to all users. The kit no longer includes a Wireless Smart Guide, as was included as standard with its predecessors. All in all, the Oral-B Genius 9000 sets a new standard for electric toothbrushes right at the top end of the market. An example that is already been followed by multiple manufacturers. If it wasn’t for the fact that the Oral-B Genius 9000 is so expensive, it would be perhaps the most highly-recommended electric toothbrush on the market. But at the same time, when you consider what’s actually in the box, the Oral-B Genius 9000 really does represent superb value for money.